This trophy was presented to the club in 1954 by friends of the late Charles J. Koch. It is awarded annually to the boat in Class C-6 with the best combined results, low point scoring, of the Spring and Fall series. Prior to 1981, this trophy was awarded to Class B-2. The Off Soundings Club, founded in 1933, is a yacht racing organization with a membership of approximately 500 experienced racing sailors. Most of the membership is based in Connecticut, Rhode Island, Long Island, Massachusetts, New York State, and elsewhere in New England. 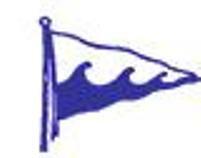 The club does not operate a shore facility, but concentrates on managing two high-quality weekend off shore race series per year, Spring and Fall, for its members and their invited guests. Spring racing, held in mid-June, occurs in Block Island Sound. Fall racing, held in mid-September, occurs in eastern Long Island Sound and Gardiners Bay. > Don Haydon and his Dionis, Marscot O'Day #21 - In the 1963 Spring Series, in addition to pulling off a spectacular rescue of a man overboard off another boat (click the link to read the story on Dionis' home page), Dionis finished 1st in this race, and first overall for the entire series. This particular regatta was pretty much an all Dolphin 24 show. Besides Dionis' 1st overall, George Sosman in Mei Mei was 2nd overall, and Ed Colie in Sambo was 3rd! There were 42 competitors racing in this class. 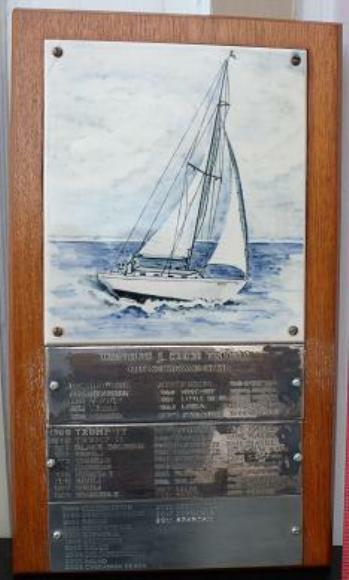 In 1965, Dionis was 2nd overall in the Spring Series (41 boats) and was 3rd overall in the Fall Series. > Ron Noe and his En Charette, Lunn #200 - En Charette was 1st overall in the 1964 Spring Series. She had a 1st in race 1, and a 3rd in race 2. There were 46 entries. > Joe Waldon and his Tiki, Marscot/O'Day #28 - Tiki was 1st overall in the 1965 Off Sounding Club's Spring Series. This was another all Dolphin show. Dionis was 2nd overall, and Stan Barnes' Shaman was 3rd overall - 41 boats were entered. Your webmaster would be remiss in not mentioning that, in the modern era, Dolphin 24s still do well in Off Soundings Club racing. Clicking here will bring you there.